U.S. Secretary of State Rex Tillerson said on Tuesday a policy of engagement with Cuba has financially benefited the island’s government in violation of U.S. law, further fueling expectations that President Donald Trump this week will roll back parts of former President Barack Obama’s opening to Havana. Speaking ahead of Trump’s expected trip to Miami on Friday to announce his new Cuba policy, Tillerson insisted that Havana “must begin to address human rights challenges” if it wants Washington to continue normalizing relations between the Cold War-era foes. Tillerson, testifying before the Senate Foreign Relations Committee, acknowledged that rapprochement with the communist-ruled island has led to an increase in U.S. visitors and U.S. business ties. His comments came as Trump’s aides sought to finalize rules that, according to U.S. officials and people familiar with the discussions, are likely to bar U.S. trade with Cuban enterprises linked to the military – which controls a large part of the economy – and tighten some rules on Americans traveling there. But the new policy will stop short of closing embassies or breaking off relations re-established in 2015 after more than five decades of hostility, the sources said. In his speech, Trump is expected to claim fulfillment of a campaign promise to the Cuban-American community to tighten the screws on the government of Cuban President Raul Castro. While Tillerson declined to confirm any details, he left no doubt that the Trump administration was prepared to undo some pieces of Obama’s policy that it sees as boosting the Cuban government financially, which would violate U.S. law. “As we’re developing these business relationships and as we’re enjoying the benefits on the economic and development side, are we inadvertently or directly providing financial support to the regime? Our view is we are,” Tillerson said. “And the question is … how how do we bring that back into compliance with longstanding statutory obligations” he said. Many of Trump’s fellow Republicans, and some Democrats, objected to Obama’s policy shift, saying he gave too much for too few concessions from Cuba. But Obama’s measures have proven popular with the public, U.S. businesses and many lawmakers from both parties. Tillerson agreed that moves toward more normal relations with the United States have helped some Cubans lift themselves out of poverty and provided opportunities for U.S. companies. However, Tillerson said there is a “dark side” to relations with Cuba, noting that the government in Havana continues to jail political opponents and harass dissidents. Divisions remain within the Trump administration over how far to go. But other advisers have contended that it is important to make good on a promise to Cuban-Americans whose support they considered significant in winning Florida in the 2016 election. Miami is home to the largest Cuban-American community. One proposal under consideration, according to the U.S. sources, would tighten enforcement to make sure Americans legally fit the authorized categories they claim to be traveling under. 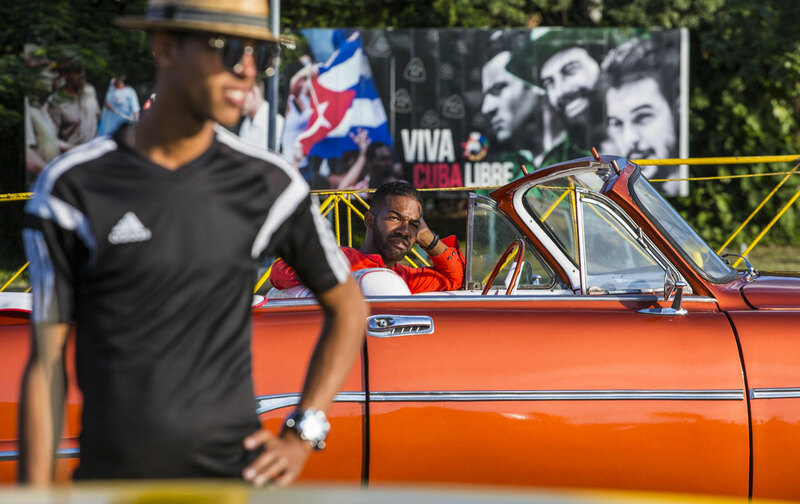 Another tougher change being weighed would revert to regulations requiring at least some types of U.S. travelers to seek a special license to travel to Cuba. However, airline officials say they do not expect the Trump administration to revoke any flights to Cuba approved by the Obama administration but said new measures to restrict visits to Cuba could result in less demand for seats.